This past Saturday I attended a regional convention called Siege of Augusta in Augusta, GA. First, I would like to say congratulations to the hard working staff and volunteers for hosting an excellent event! This is a unique convention. 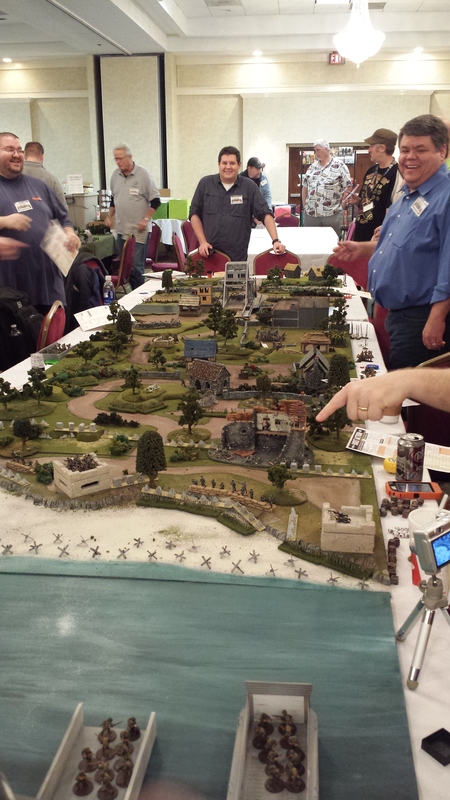 For the past 20+ years, it has been almost exclusively a historical wargame (miniatures) convention. In the last year or two they have been trying to expand and grow in terms of the types of games they offer to con-goers. A very commendable and recommended course of action! So, what did I do while I was there? I was asked to come up for the day and run some historical and non-historical themed boardgames. I was more than happy to help these folks out. We have a reciprocal arrangement. I go their convention to help and promote my events and they send a few folks to BROGFest and Storm-Con tomdomthe same–works out well! Unfortunately, I was only able to setup in an out of the way spot; that was the only table in the entire event area that was not being used. Needless to say, I had to put on my carnival barker hat and drum up some interest. In the end, I was fortunate to get Twilight Struggle and Commands & Colors: Ancients to the table. In fact, the Twilight Struggle game garnered considerable spectator interest. Many of the watchers commented that they loved the game and I was able to continue to talk up boardgaming/wargaming in the region and at Siege of Augusta and my events. All-in-all, mission accomplished. Anthony, If you are reading this, it was a pleasure to game with you and chat about gaming! One of the things that I had hoped to get a chance to do was to actually sit down and actually a historical miniatures game. I am a fan of De Bellis Antiquitatis and was hoping to get in at least one game, but that didn’t happen. Instead, I got the chance to take some photos of some of the great games that were being played. Sadly, I don’t know the names of some of them. I did a little shopping while I was there as well and I think I did very well for only spending $20! 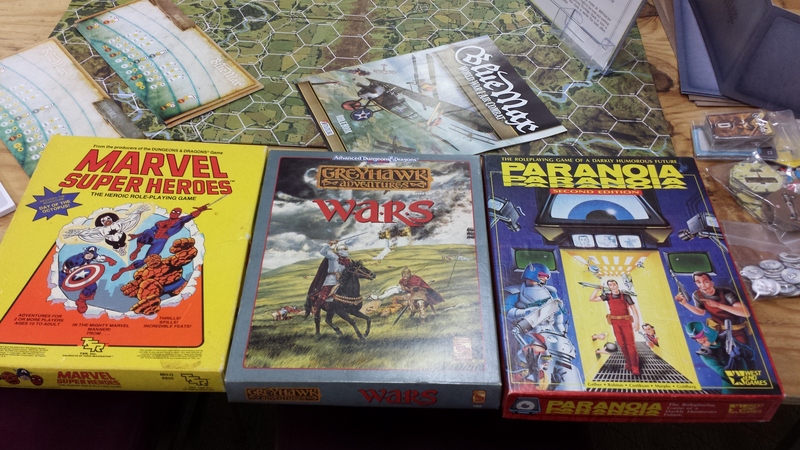 I walked away from the flea market with an excellent condition and unpunched Greyhawk Wars, an excellent condition Paranoia (2ed) and an average Marvel Super Heroes (missing some chits). These three cost me $15 and that makes me happy! I spent my last $5 on a miniatures rulebook called WWII Assault with a few bennies in exchange for a fair and honest review (forthcoming). 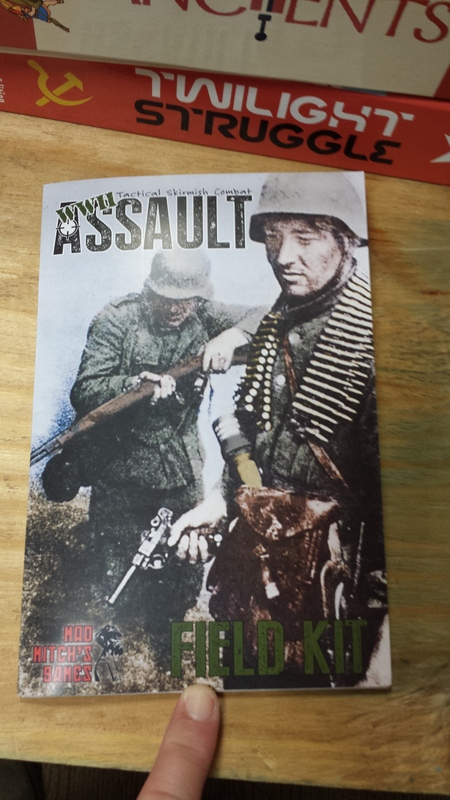 I had watched the WWII Assault Kickstarter late last year, but my discretionary funds were lacking at the time. I’ve seen it played twice now and I am looking forward to playing it myself. 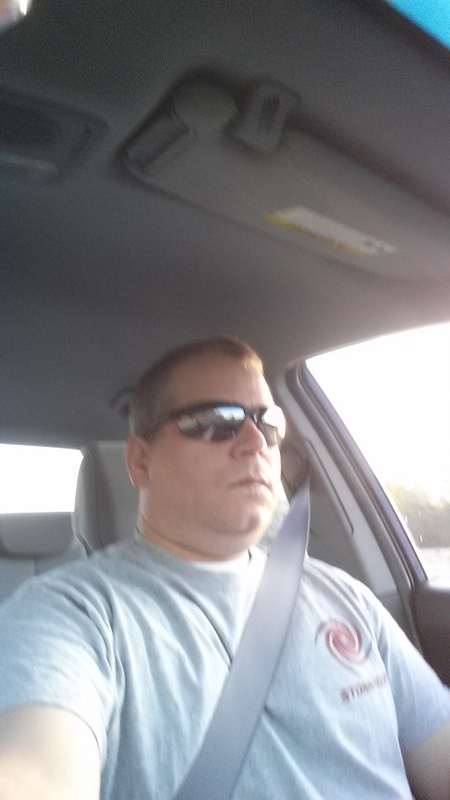 So, let’s talk about the convention as a whole and my parting thoughts on the event. Siege of Augusta offers some great historical miniatures games and events that cover very diverse historical themes (ancients, WWII, Am Rev, F&IW, Modern and more). 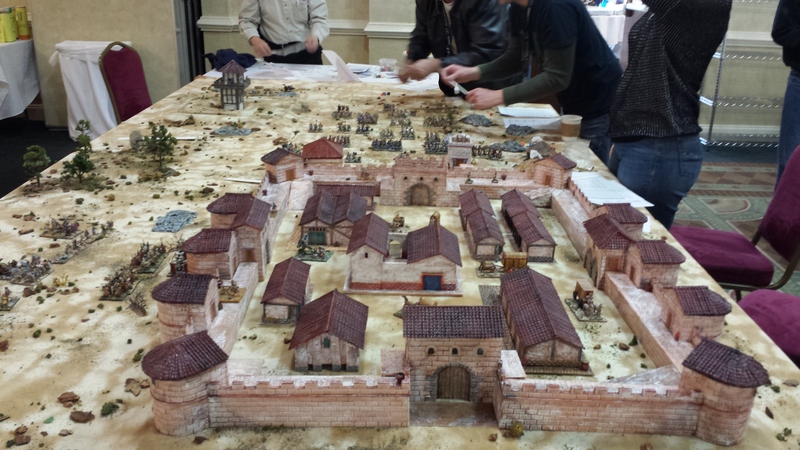 Historical miniatures gamers are very devoted to their hobby and in events like Siege of Augusta it shows in the scope and scale of the games they bring to play. This is what sets Siege of Augusta apart from all other regional conventions. I really enjoyed my day at Siege of Augusta, a much better option than the “other convention” that was being hosted that same weekend. The folks that run the convention are great to work with and very knowledgeable about the hobby and in particular historical miniatures games. I do hope in the future they are able to diversify what they offer on the schedule or at least have a more centralize and dedicated boardgame area. I look forward to making the short trek there next year!